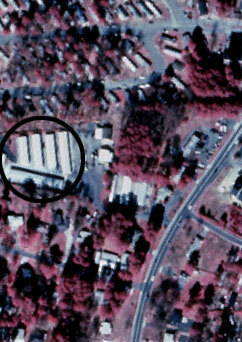 This example shows two images are the same area in southwestern Kennesaw, Georgia. Vegetation in these images is red. 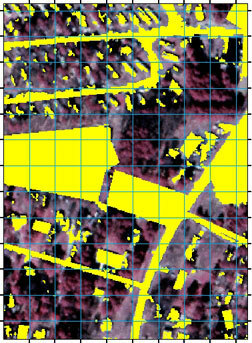 Step one: We create a binary map of impervious surface using the 1 meter aerial photograph. 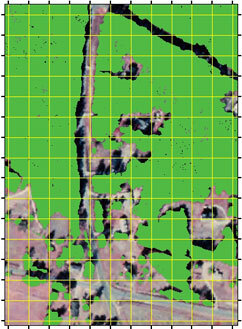 A 30 meter grid is placed over the photograph and the percentage of impervious surface for each cell is calculated. 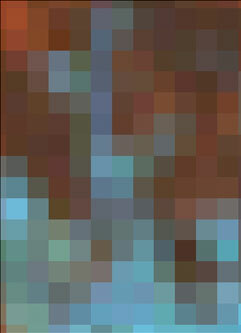 This represents the 30 meter cell size of the Landsat image. 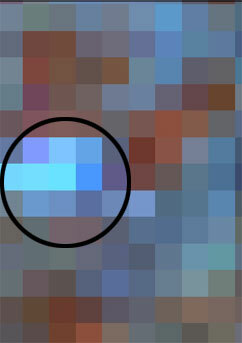 Step two: We then build a regression model using the photo interpreted impervious surface to predict the percentage of impervious surface found in each grid cell of the Landsat image. 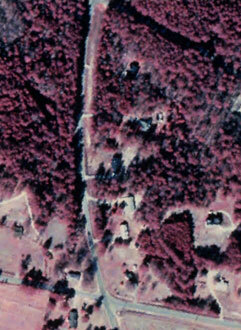 This example shows two images of the same area in northern Newton county. 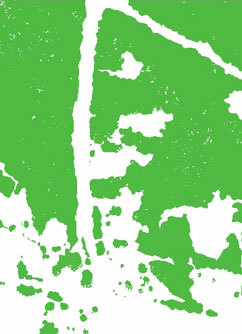 We created a binary map of tree canopy and no tree canopy, then placed a 30m grid over the new map to calculate percentage of tree canopy for each 30 meter grid cell. 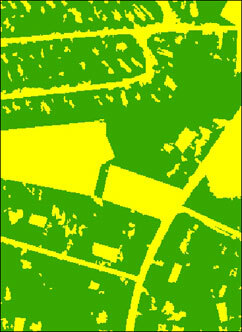 Actual tree canopy based on aerial photo interpretation. 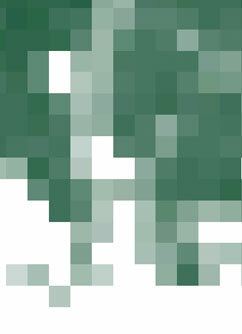 Predicted percentage of tree canopy. 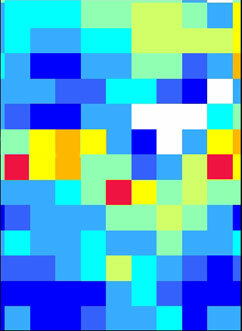 The darker the grid cell, the higher the percentage of tree canopy. Step two: We then build a regression model using the photo interpreted tree canopy to predict to percentage of tree canopy found in each Landsat grid cell.